Do you have this over your septic system? Uh Oh, better call ARROW! Arrow Offers Septic & Sewer Services for Residential & Commercial Customers! We proudly serve McHenry County, Lake County and Cook County which includes Woodstock, Huntley, Marengo, Harvard, Spring Grove, Crystal Lake, Lakewood, Cary, Algonquin, Barrington, Des Plaines and more. Preventative maintenance is key to prolonging the life of your septic system! We can help you with that! Clogged drain? Is your pump making weird noises? We can help with that! Super clean portable toilets, handwash stations and luxury trailers to fit any budget! Come take a look! We all like to save a little money — Click here for a deal! Highlighted below are testimonials from real Arrow customers! We just had a cleanout installed due to nagging back ups from tree roots. The work was top notch, thank you Hunter, and the price was fantastic. We couldn’t be happier. I have recommended them to some friends and neighbors already and will continue to do so. If you want the job done right without having to take out a 2nd mortgage, Arrow Septic & Sewer are the people to call. We called arrow septic to come out and water jet out a large landscaping drain that was plugged with tree roots. We first called another company who told us it would be $1,500 for them to even come out. We Turned to Arrow, who was at our house within 1 hour and were more than willing to help us solve our drainage issue for a fraction of the cost. We couldn’t have been happier! Had Arrow install a cleanout a few years ago and just had the back to rod it out again. They installed the cleanout for about half of what (another company) wanted. I couldn’t be happier with Arrow! REPLY: Thank you Tim for your business and positive review. We love our customers and work hard for them. 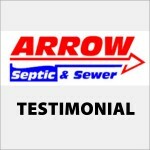 Arrow Septic & Sewer - One Call Can Do It All! Let's Get It Scheduled. 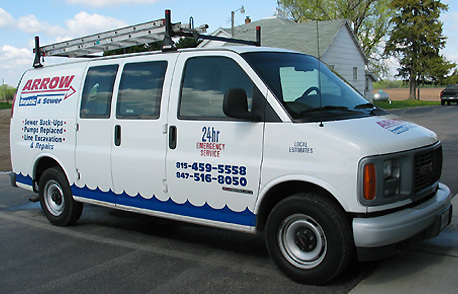 We are a full service septic and sewer provider that has been in business for over 20+ years! We take great pride in providing outstanding service to all of our clients. INTERESTED IN WORKING FOR ARROW? If you looked through our website and believe you can see yourself being part of our team, get in contact with Arrow today. 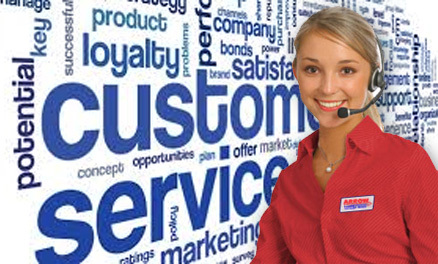 We continue to always look for customer driven team members. Get In Touch With Arrow NOW!